Can I import landers, offers or campaigns from another tracker? 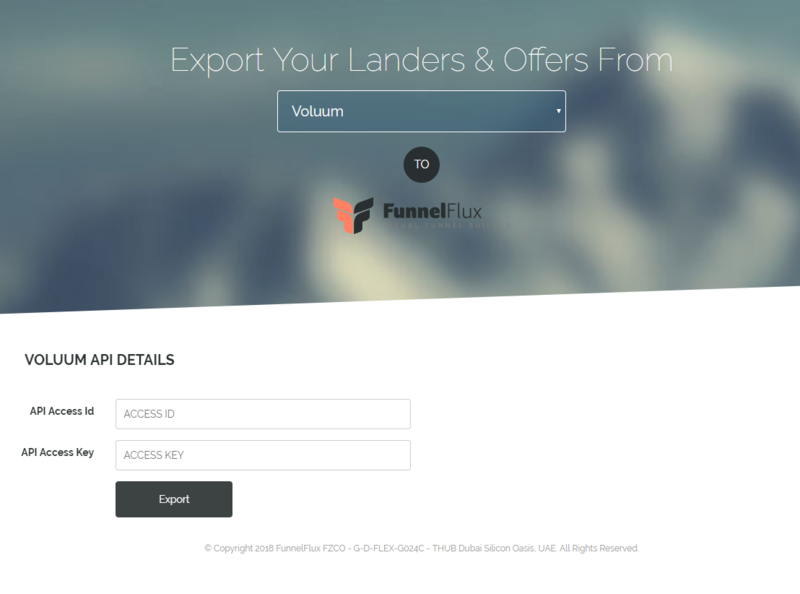 Additionally, we have a Voluum campaign importer that will replicate your basic campaigns and paths into funnels in FunnelFlux. You can access this from your FunnelFlux installation in the settings > Voluum Importer menu. It will require your Voluum account username and password. Note that the importer operates via your server directly, so you don't need to worry about giving your username/password to some third party. When using this importer it creates basic funnel configuration for the different paths/rules you have set up. At this stage it does not create condition nodes for all the various rules you have -- you may add these afterward to get back to the logic you want, or could use other approaches better suited to the design of FunnelFlux. We may add full rulle importing in the future but at this stage it would make quite complex funnel diagrams that we don't want to impose on users when they first jump into the system. Once we launch advanced condition nodes, we'll likely be able to do this in a more approachable way.